Flannels, beards, coffee shops, round glasses, indie music and record players. Mix these together and you get your stereotypical hipster. The term “Hipster” began popular in the early 2000’s and into the next decade but over time has become more scarce as a phrase. This is because being “hipster” is now “mainstream” which defeats the purpose. Resulting in my claim: Hipster is Dead. 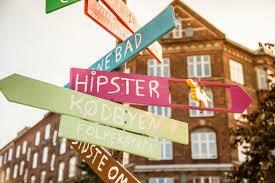 What qualifies as hipster?To most, being hipster means being trendy outside of the cultural mainstream. Nowadays things that used to be “hipster” are very common in everyday life. Something that’s very in style right now is ripped jeans, which, a few years ago, was seen as being a “hipster style” along with other vintage clothing from everyone’s favorite thrift stores. Hipster entertainment has also become more and more popular. Spending time in a coffee shop used to qualify as hipster but come on, who doesn’t have a favorite coffee shop? Not to mention the stereotypical music. Arctic monkeys, the killers and even coldplay are bands that only the most in the know hipsters know about. Are you kidding me? “Do I Wanna Know”, “Mr. Brightside” and “Viva La Vida” are all widely known songs by those artists and they aren’t the only ones. Being a hipster started a trend of followers, people who wanted to be different. If we’re all trying to be different doesn’t that make us all the same?